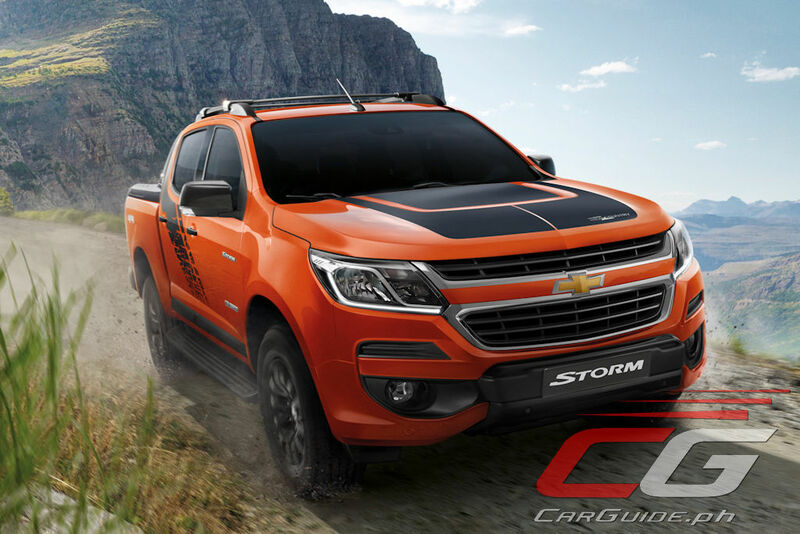 The Covenant Car Company, Inc. (TCCCI), the exclusive importer and distributor of Chevrolet vehicles and parts in the Philippines, introduces the 2018 Chevrolet Colorado High Country Storm. 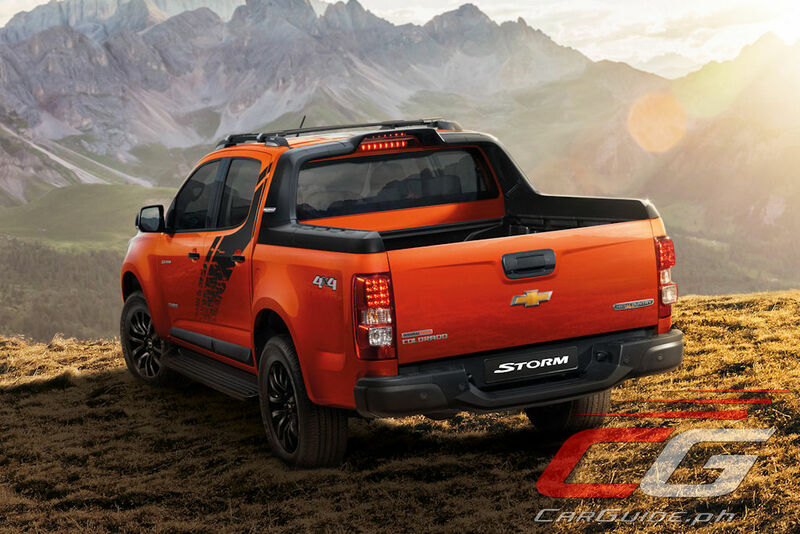 Building on top of the Colorado’s best-in-class specifications, the new Colorado High Country Storm adds sporty and edgy styling, SUV-like comfort and sophistication, and top-notch safety features to Chevrolet’s pick-up truck. 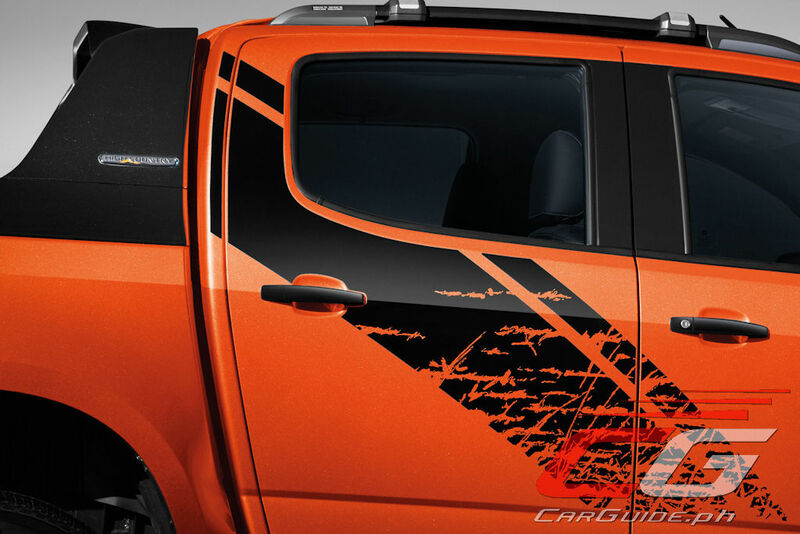 Fashioned by Chevrolet’s global design team, the Colorado High Country Storm features numerous black accents that add a contrast to the pick-up truck’s strong silhouette. It gets a black rear sport bar, a black anthracite rear bumper, black tailgate and door handles, black rear-view mirrors, and black 18-inch alloy wheels. 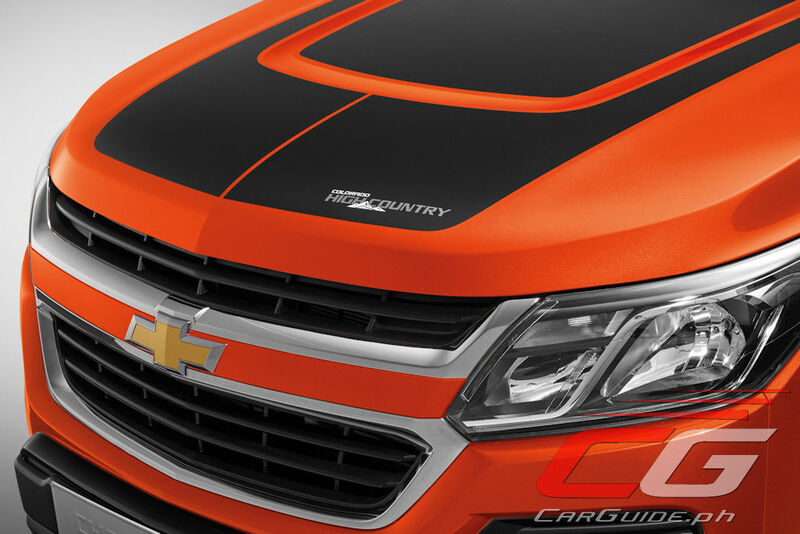 Finally, a special black hood and body decals add a menacing touch that makes it stand apart from the competition. Under the hood, the Colorado High Country Storm continues to offer best-in-class numbers for both horsepower and torque. It continues with its second-generation 2.8-liter Duramax diesel engine making an even 200 horsepower and 500 Nm of torque. 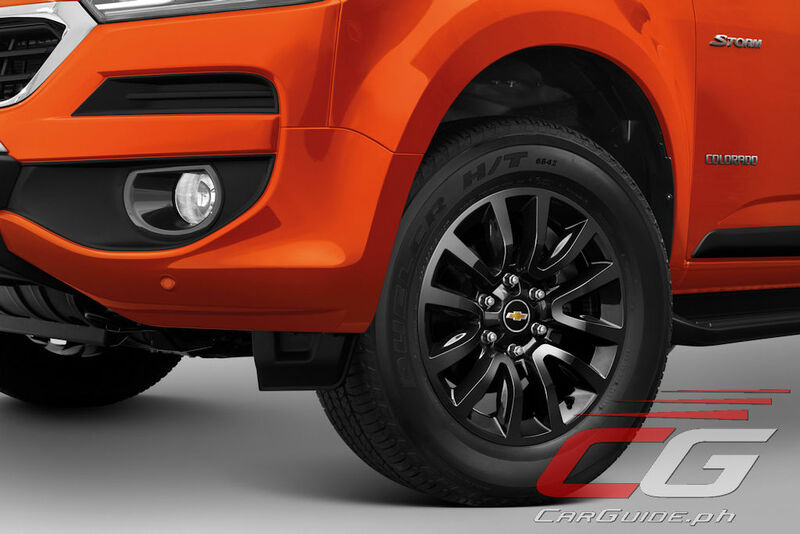 Like the other variants of the Colorado, it can easily haul with its 1-ton payload and 3.5-ton towing capacity. And if power is synonymous with a commanding view of the road, it rides high and also features a class-leading 800mm water wading capability which inspires confidence behind the wheel. Rugged and edgy as it is outside, the Colorado High Country Storm is elegant inside. A 6-way power adjustable driver’s seat offers ample adjustment while the toggle switch design gives easy access to driving controls without compromising safety. 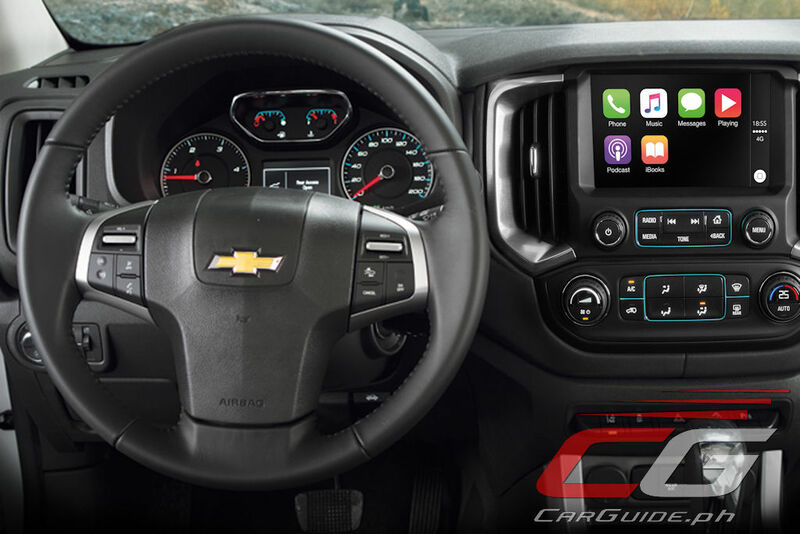 The plusher dashboard also has an 8-inch multifunction touchscreen equipped with the latest-generation Chevrolet MyLink infotainment system. 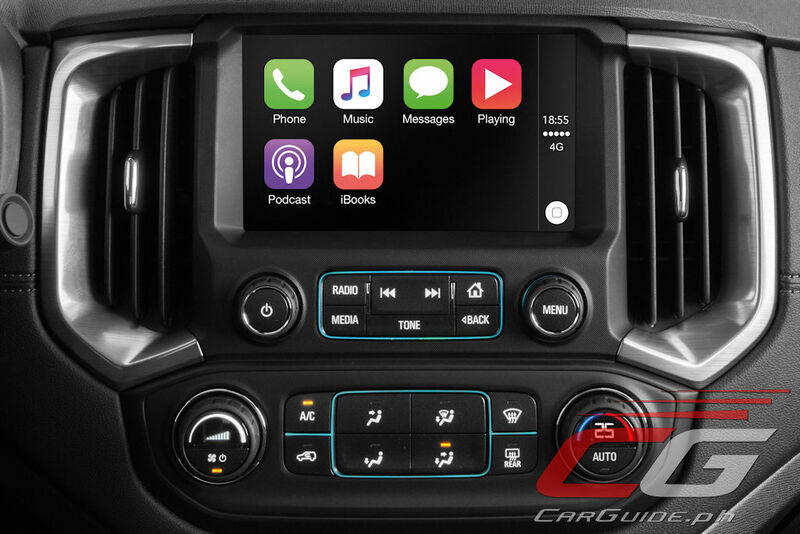 Aside from having full multimedia functionality, it offers Apple CarPlay and SIRI Eyes Free built-in. The various comfort features tie in with the Colorado’s revamped ride. Road tested in a wide variety of locales and terrain, the Colorado High Country Storm benefits from improved dampers and revised spring rates to provide better comfort and control. 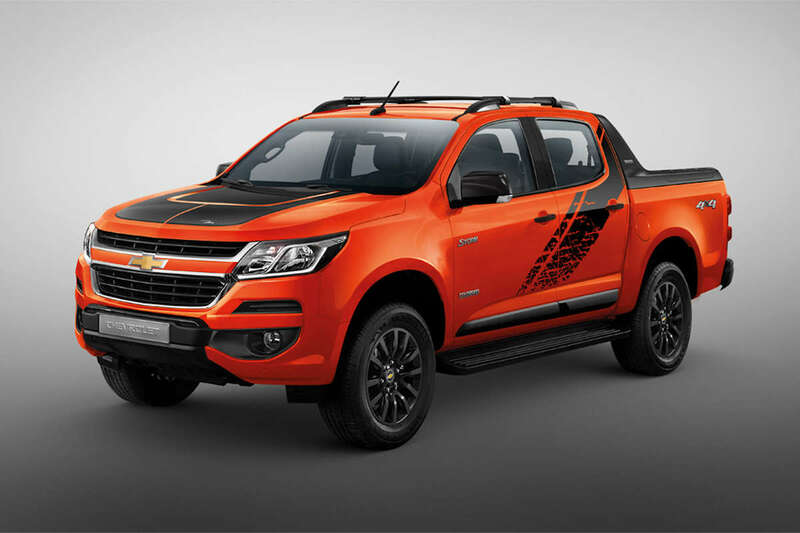 The Chevrolet Colorado High Country Storm comes with a host of active and safety features, including Anti-lock Braking System (ABS), Electronic Brake Force Distribution (EBD), and dual airbags. It also features Cruise Control, Lane Departure Warning, Forward Collision Alert, Tire Pressure Monitoring System, Traction Control System, Hill Start Assist, Hill descent Control, Trailer Sway Control, Electronic Stability Control, and front and rear parking assist, rear camera with dynamic guidelines. Additionally, it has a remote engine start function that is useful during hot weather. Through this function, the engine can be started using the key fob, allowing the cabin to be cooled sufficiently before getting inside the vehicle. Other features include remote window activation and front windows that automatically drop a fraction to facilitate door closing. 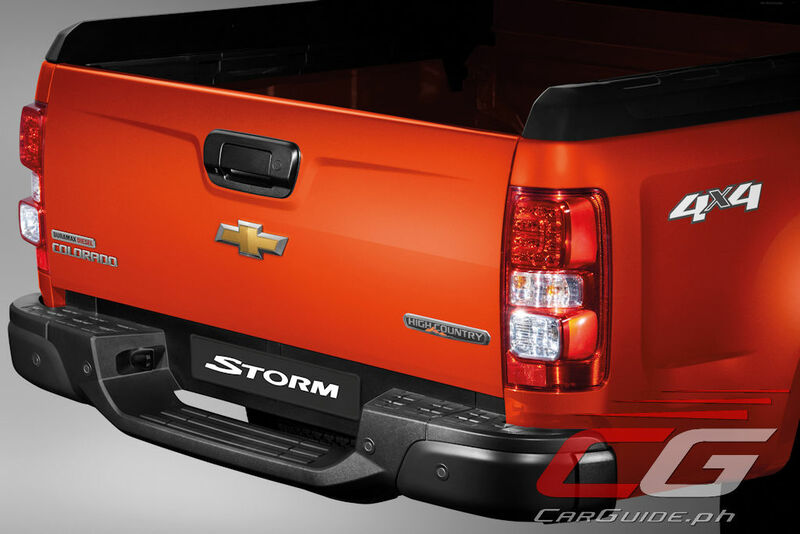 The Colorado Storm is available in seven exterior colors: Orange Crush, Blue Me Away Metallic, Pull Me Over Red, Black Meet Kettle Metallic, Summit White, Satin Steel Grey Metallic, and Dark Shadow Metallic. 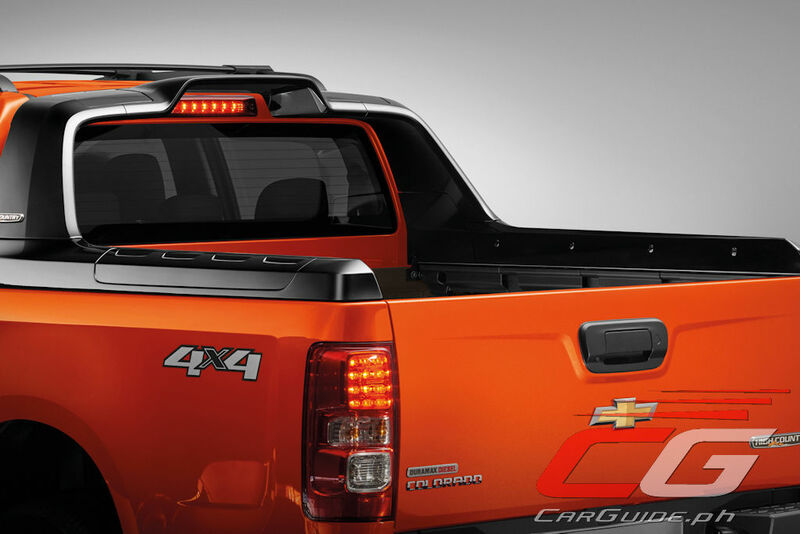 Pricing for the Chevrolet Colorado High Country Storm 4x4 A/T is at P 1,638,888. The Chevrolet Colorado High Country Storm comes with a special 5-year warranty coverage: 3-year bumper to bumper warranty plus a 2-year warranty on the powertrain or 100,000 kilometers, whichever comes first. Chevrolet owners are automatically enrolled in the 24/7 Chevrolet Emergency Roadside Support for 3 years, with an option to renew on the 4th year of ownership. 1.6? So close. 1.5 lang limit ko. The Covenant Car Company, Inc. (TCCCI)?????? this company hasn't done a good job marketing the best Chevrolet Units here in the Philippines and I'm wondering why is that? Ford Raptor incteases its price... 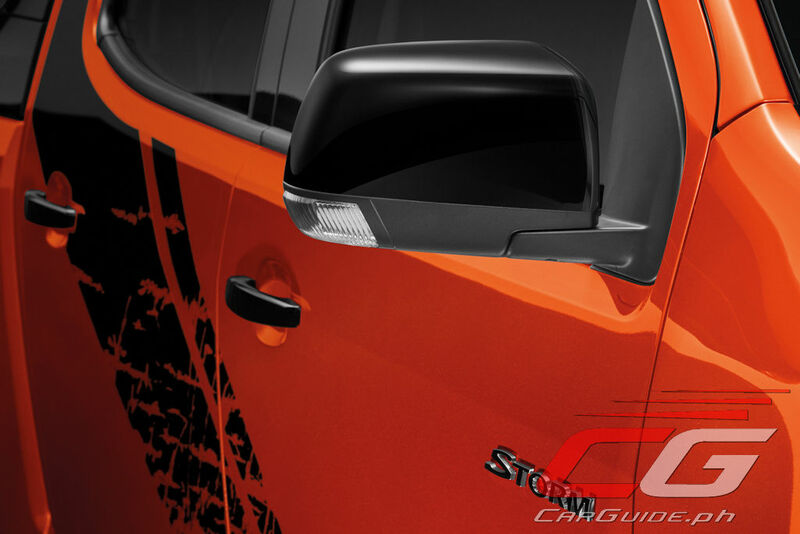 It's time for Chevrolet Colorado Storm to strike in the market as the most fuel efficient pick up truck. I will but this in a month or two. No issues I heard against this truck. I will buy this in a month or two. No issues I heard against this truck.